You could put this code in your model's stepping function (the function called every 'tick'), or some other place that would be called whenever an action occurs. The argument to sleep is the number of milliseconds you would like your program to sleep. See the Repast emailing list comment by Vos for futher information. 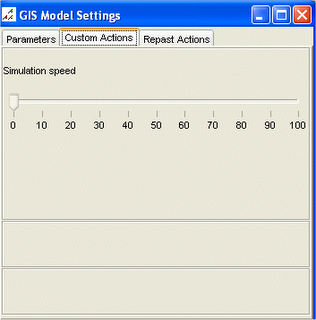 Where simulationSpeed refers to a int set in the main program.